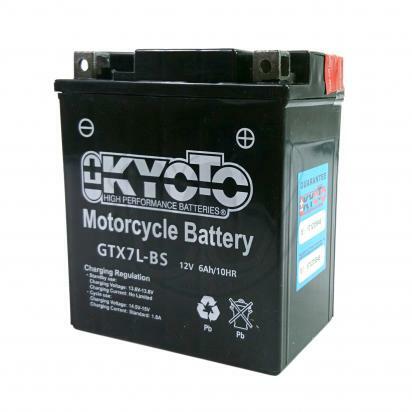 The picture below shows a Battery Kyoto. Thousands of other top quality spares listed on our website at refreshingly low prices. Maintenance free Dimensions 110L x 70W x 130H Wemoto.com will fill up, charge and test the battery before dispatching it to its retail customers.